Beautiful Incentives: Why you should invest in Healthcare and Information technology. Why you should invest in Healthcare and Information technology. Why should you invest in healthcare, information technology and more? Here are a few solid reasons. Does blogging pay all the bills? No, but does it help me out during tough times when I need it most? Yes, and I plan to grow and reach my goals. Information technology and being a social media expert is the corner stone and primary focus of businesses now, and will be from this point on, until the apocalypse. We rely on social media experts to deliver pertinent information in a very fast time period. It is ever demanding, very rewarding and not to mention a lot of fun! Your commute is from your bed to your desk. It's perfect for the creative, hardworking single moms or the disabled who want to earn extra income with potential to be much more. If you are looking for a career you can grow in, this is the place for you. Read on for other rewarding investments such as this. Recession has burned holes in many pockets. However, investing is still popular as ever. Although many families find it hard to manage in this economy, there are numerous young professionals who have excess money at hand and are willing to put it in good use. No matter what we think about current economic situation, there are many industries and companies that are making a good profit. It remains to be seen which ones are best for investing in. Colorado Gold review claims that commodities are still as good investment as any. Nevertheless, some economic experts suggest caution because it seems that prices are currently little overblown. The fact remains that mineral ores are constantly being depleted. Given that we are facing numerous ecological threats, it still remains to be seen how will be used in future or will we take any precautionary measures in order to rationalize them. If we observe things from common economic standpoint, constant usage of fossil fuels will only drive prices up. In the end, this will increase value of all industries that are involved in mineral exploitation. industries have something in common and that is constant research and development. But, while informational technologies will progress due to new solutions, health care bases its growth on increasing number of old people. Western countries are becoming older by the day as we are simultaneously plagued by very low birth rates. People start thinking about raising family at a very old age. Health services such as retirement homes and specialist practices benefit from this. Economic experts agree that this trend will continue in future. Informational technologies are industry that is constantly on the rise. Today, we cannot even imagine a company that is able to survive in this market without newest programs and informational solutions. Furthermore, most entrepreneurs have taken their business online. This is the only way to stay relevant and competitive. 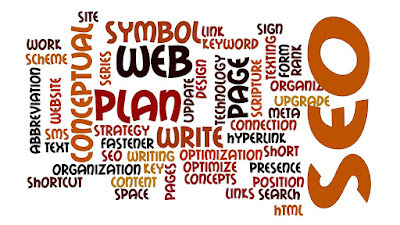 We have seen increased demand for web designers, SEO engineers and content writers. Similarly, personal blogs have become enormous business. Individuals who are unable to leave their home, single mothers and others who are for some reason forced to spend a lot of time at their house, see this as an opportunity to make some money. Finally, this is a solution that allows us to raise a family, be father or mother and still be able to provide for our loved ones. Another interesting business which is constantly growing is beer, wine and cider production. Naturally, Americans always had their alcohol companies. But, as the globalization kicks in, there is increased need for products that are commonly perceived as European or South American. Nowadays, this is regarded as one of the most vibrant markets, constantly introducing new products. At the same time, it is pleasure to say that our beers and wines are becoming increasingly competitive on the global market. If you search something to invest in, these companies may be the right choice.